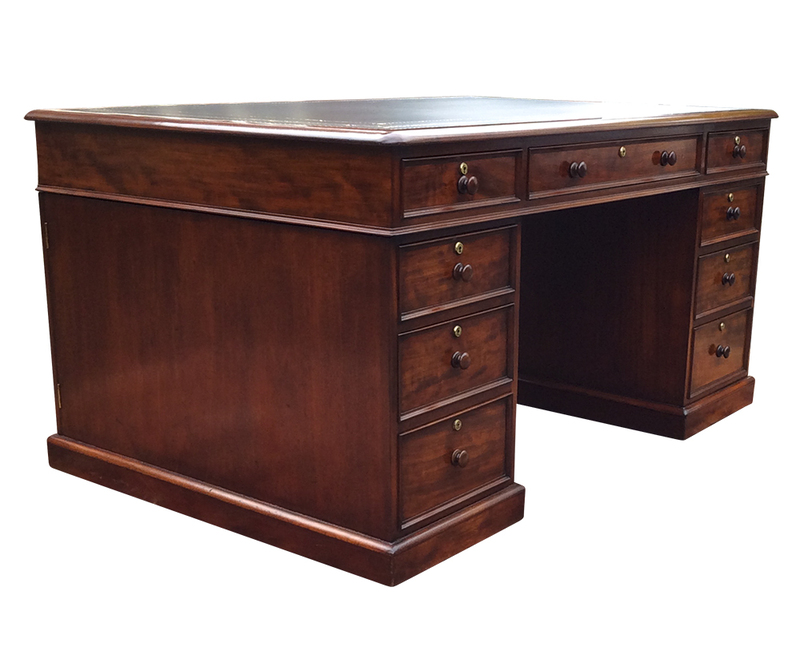 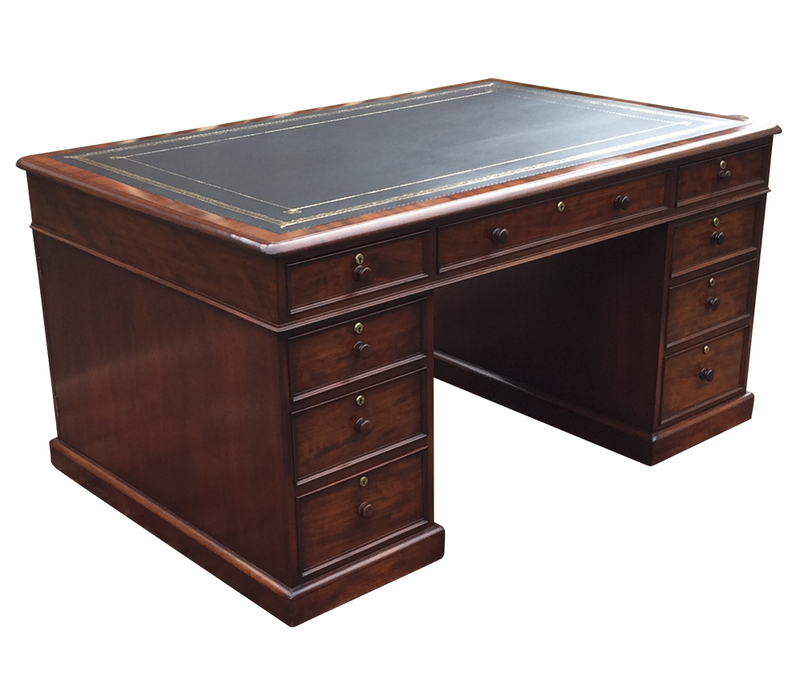 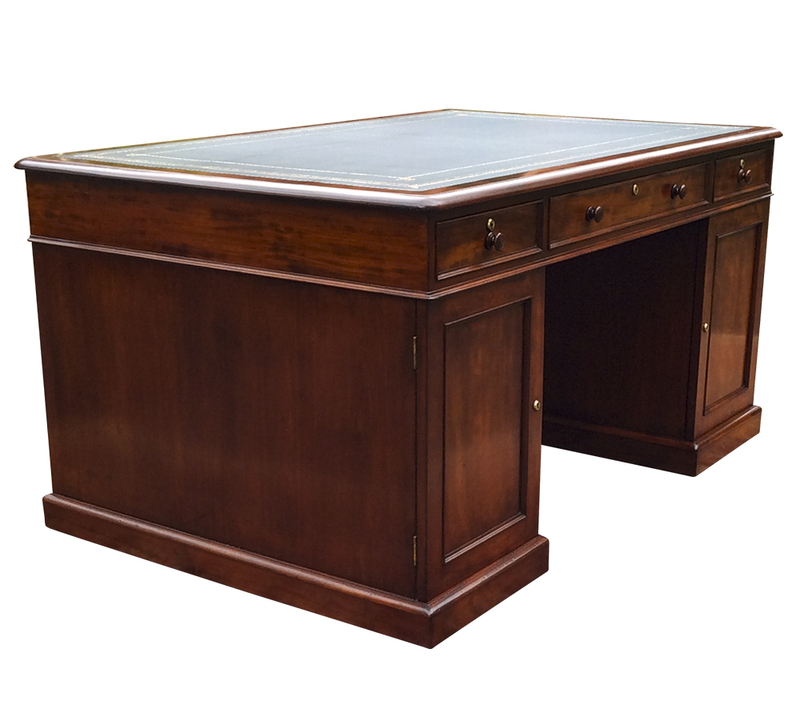 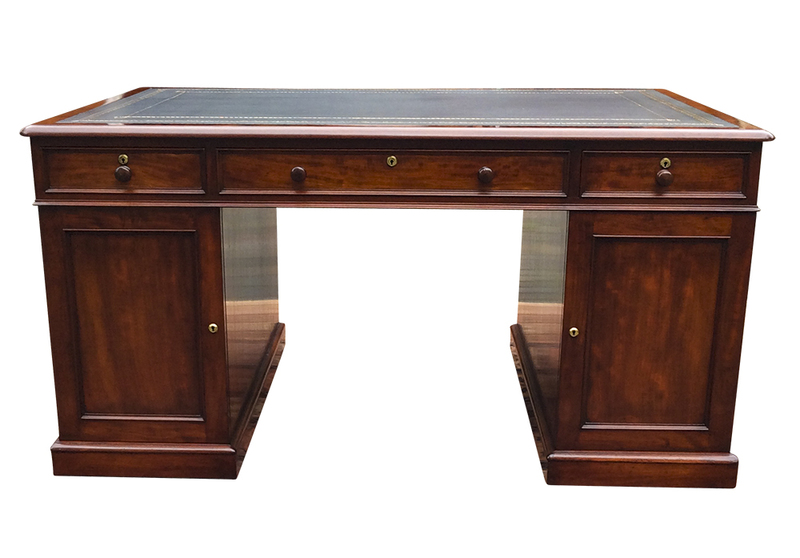 This handsome English antique partners desk is made from well figured mahogany timbers throughout. 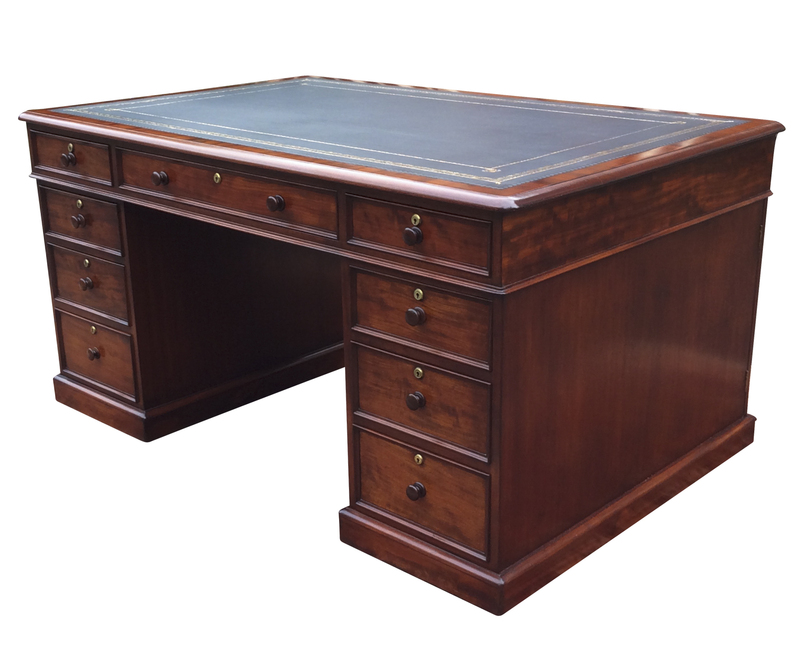 This is surrounded by a band of mahogany with a ‘bull nose’ moulded edge. 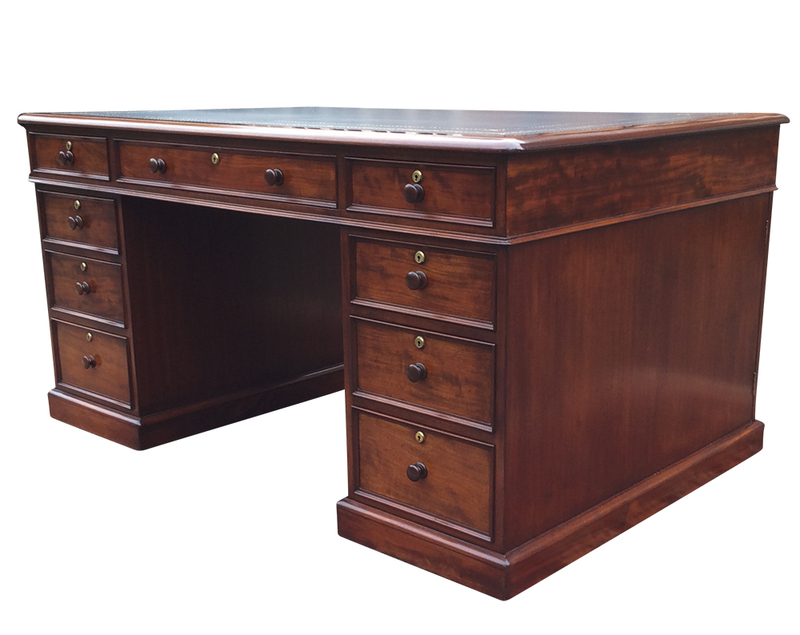 The top is fitted with three drawers to the front and reverse. 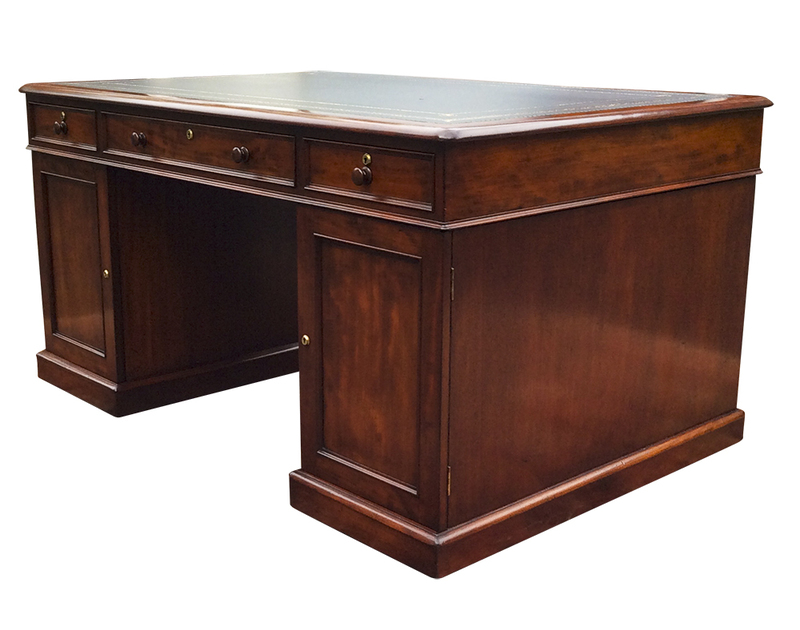 The pedestals are each fitted with three drawers to the front and cupboards with shelves to the reverse. 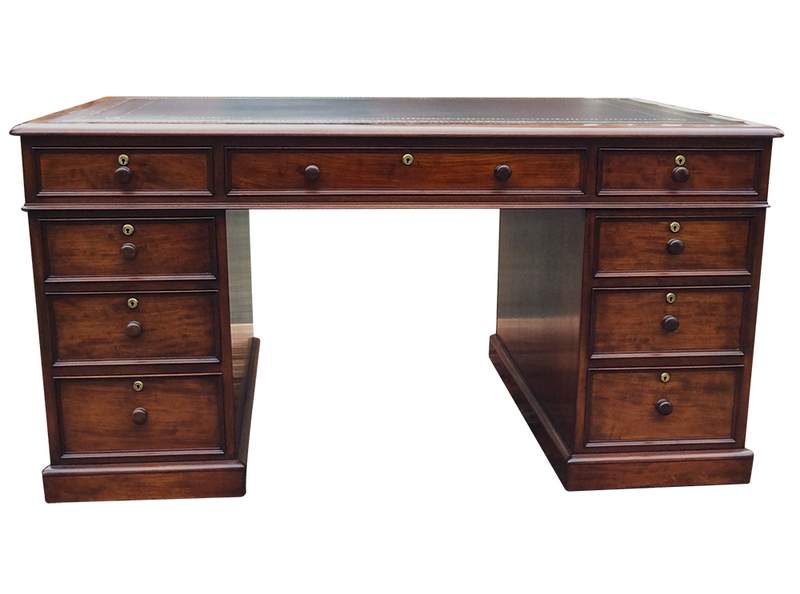 All drawers are oak lined with hand cut dovetail joints, the original brass locks, ogee mouldings to the front edges and turned wooded pull knobs. 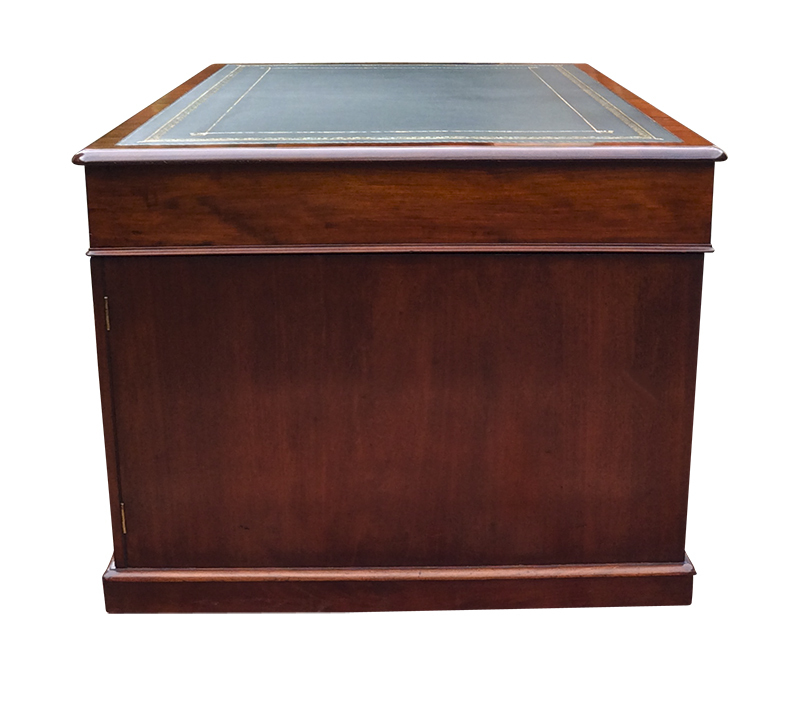 They stand on plinth bases with hidden castors for ease of movement.